Kerman is an ancient Persian city and the capital of the Kerman province in southern Iran. The rug makers there have been weaving outstanding carpets in their workshops for more than thousand years. 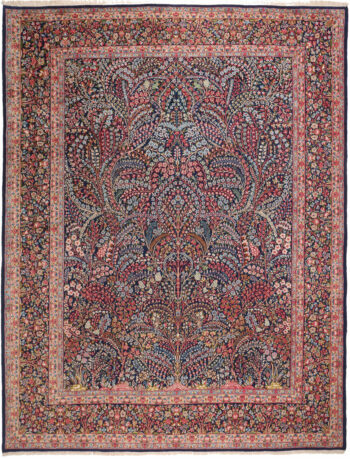 Some of the finest Kerman rugs come from a town called Lavar (also Laver or Raver) in the Kirman province, hence the term ‘Lavar Kerman’. 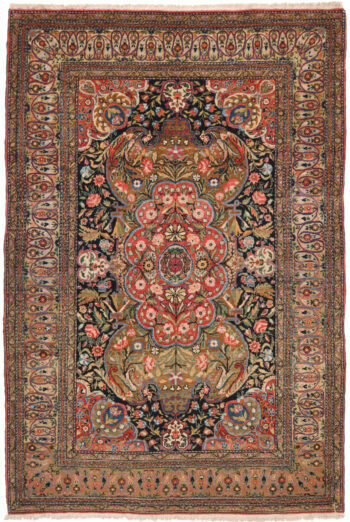 Traditional designs of antique Kermans, that still can be seen in contemporary rugs from this area include a central medallion and the border both with highly detailed floral or arabesque elements. But also tree-of-life, vase and garden designs are not uncommon. 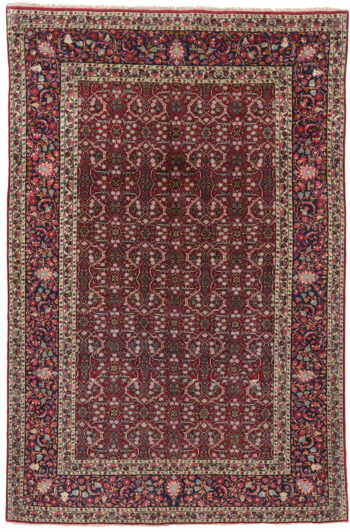 Kerman carpets use only the Persian knot.